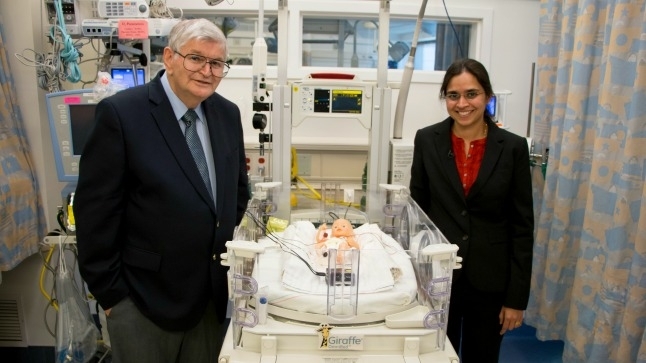 Dr. Ronald Harper and Dr. Kalpashri Kesavan are testing a non-invasive device that could help very premature babies with breathing problems. Each year in the U.S., about 150,000 babies are born after only 23 to 34 weeks of gestation, which puts them at risk for apnea of prematurity, a condition in which breathing stops, often for several seconds. For parents, it can be frightening to watch when the alarms in the neonatal intensive care unit beep and their fragile baby stops breathing and turns blue as their oxygen levels fall quickly. Neonatal intensive care units have several treatments to support breathing pauses, but none are perfect. For example, the commonly used treatment of positioning the baby on its stomach can be ineffective and may increase the risk for Sudden Infant Death Syndrome. Forcing pressurized air into the baby’s lungs with a facemask may distort the still-developing bony facial structure damage the lungs. Using caffeine to stimulate the brain to breathe may be ineffective, may interfere with sleep patterns and pose unknown risks to the maturing nervous system. Now, UCLA researchers are collaborating on a new device that may offer a non-invasive way to help these babies breathe. The concept behind it is actually based on how humans generate more oxygen when running. What if you trick the newborns’ brains into thinking that they’re running, thus triggering their breathing response?, the researchers surmised. The device is a pager-size box with wires that connect to small disks which are placed on the skin over the joints of the feet and hands. Once the battery-powered machine is turned on, the disks gently vibrate, triggering nerve fibers to alert the brain that the limb is moving. 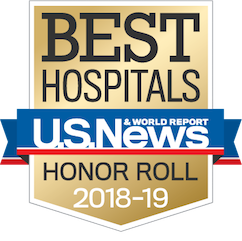 The researchers tested the device on 15 premature infants born after 23 to 34 weeks of gestation and who were experiencing breathing pauses and low oxygen. The disks were placed on one hand and one foot, switched on and then off in six-hour increments, for 24 hours. The scientists compared the babies’ vital signs during the periods when the device was switched and off. They found that when it was on, the number of incidents when babies’ oxygen levels were low was reduced by 33 percent and the number of breathing pauses was 40 percent lower than when it was off. The device also reduced low–heart-rate episodes by 65 percent, which is especially significant because slow heart rate can impair the flow of blood to vital tissues. The findings were published online in the Journal PLOS One. The researchers now plan to study the approach on a larger number of patients and over a longer period of time.